I now own 4 replica instruments bases on Anglo-Saxon originals so I thought I would show them today. First I have the Horn. 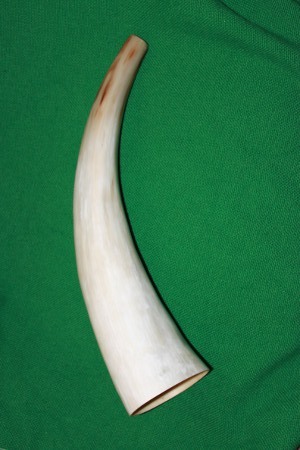 This is an Ox-horn. Horns were used in battle as signals but also in ceremonial matters. The lord of a hall might summon his people to feast by standing at the door and blowing the horn. 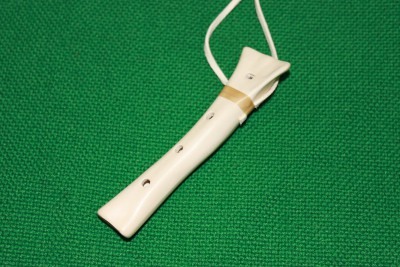 Next up is the bone flute. Many of these have been found in burials – usually made of sheep or dear bone. 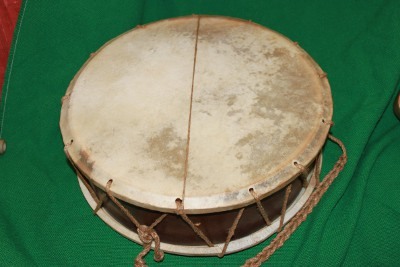 They have 3 holes but the hole at the end can be blocked as well to create more notes. Drums were certainly used. There are more difficult to replicate as little survives – being made of animal skin and wood. Finally here is my lyre. Its made of yew. (various woods were used). It Has 6 strings and can create a range of chords, notes and a good deal of noise. We are lucky that Kind Redwald of East Anglia was buried with a Lyre which mostly survived and allows for a decent replica. Here is a video of me playing (badly) these instruments. I don’t think I will start a musical career!